Be driven to personalize every piece of your work. 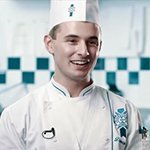 The Superior Pastry program combines all the knowledge, techniques and artistic skills of the Basic and Intermediate levels, and encourages you to personalize your work. Superior Pastry is the third and final step in completing your Diplôme de Pâtisserie. 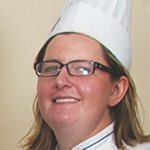 This course is designed for individuals who want to be employed as a commis bakery/pastry chef or bakery/pastry chef in hospitality/catering operation. The course has been developed in accordance with the National Occupational skills and industry standards. 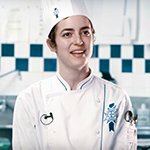 This course will develop the skills, attitude and knowledge associated with the superior culinary French pastry techniques and to acquire the related values to work as a professional in either the commercial, industrial or retail catering industry, commercial kitchens, hotels and restaurants. All programmes offer both a demonstration by our world-renowned chef instructors followed by hands on 14:1 student to Chef ratio of practical hands on kitchen experiences. Demonstration Students observe, take notes, and ask questions as one of our world-renowned chefs shares their special tips and techniques when it comes to creating a multitude of desserts and pastries. Practical Students follow their chef instructor into one of our state-of-the art professional kitchens. Here, students try their hand at creating the recipes using the demonstrated techniques with plenty of one-on-one guidance from their Chef instructor.